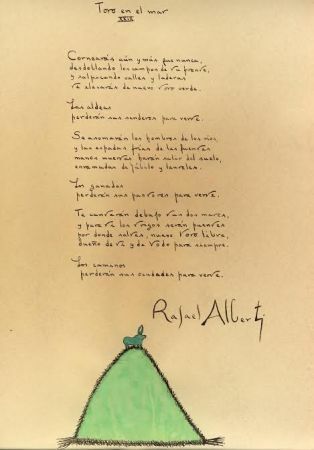 An outstanding original manuscript by Rafael Alberti, with a wonderful ink and watercolor drawing of a bull on a hill, in his early surrealist style. 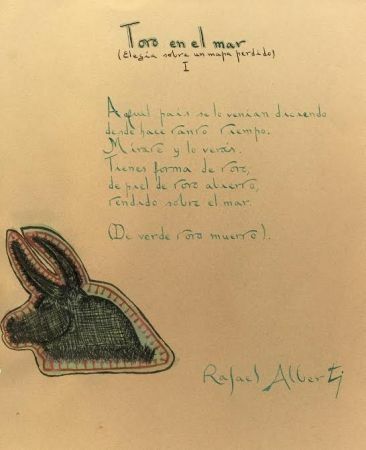 The poem was published in "Entre el clavel y la espada" (1941). 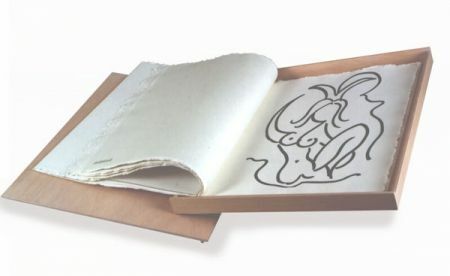 Signed by the poet / artist.